IRELAND made it three wins from three in the Autumn Series after a clinical win against Argentina on Saturday. 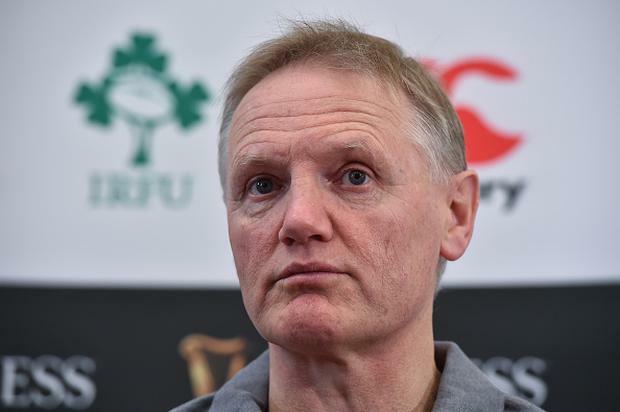 Overall Joe Schmidt will be fairly pleased - he won the matches and also had a decent look at a lot of players that he may need to call upon in a few months’ time. So what has the Irish coach learned from the series of games? Firstly that he has a world-class scrum at his disposal. Whether it is his first choice front-row or their replacements from the bench, Ireland have possibly four or five front-row forwards that other top countries in the world would love to have. When you think that a few years ago Ireland were in desperate trouble in the front-row, they now have riches aplenty in this area. I would go so far as to say that no other nation in world rugby has so many options open to them in this crucial area. Young second-row James Ryan had just over a half a match yesterday, replaced due to a shoulder injury, but again he looks like a player that will find the step up to top international rugby almost seamless. For me, Ryan is a future Irish captain in waiting and was not over-awed at all on Saturday against Argentina. Throw in the performances of relative newbies like Jacob Stockdale, Chris Farrell, Bundee Aki and Andrew Conway and Joe Schmidt has plenty to be glowing about. Saturday’s match against Argentina was almost a repeat of the South African game. Ireland were so dominant for the first half that at the half-time break you thought that they would kick on and run 40 points past a tired and one-dimensional Pumas side. But then, unfortunately, Ireland went to sleep and allowed the Argentinians to dominate the second half with nearly all the ball and they tallied three tries. In the end I don’t think Ireland were ever in real trouble, and perhaps that played its part in losing some focus as the game went on. After Stockdale’s second try minutes after the interval, Ireland probably felt that it was a game they were never going to lose. The lesson here is that if you want to dine at rugby’s top table then you must play for the full 80 minutes and not just 40. Against better teams like England and the All Blacks, you may not get another chance, and that dip of focus will still concern Schmidt. In my opinion Ireland are now the second or third best team on the planet, just behind the All Blacks but certainly there or thereabouts with England. That means that Schmidt’s realistic goals are a Grand Slam next year and following that a World Cup in 2019 – why not? South Africa are struggling, Australia are struggling, France are struggling, Ireland are not, and while I don’t want to get carried away, Schmidt has a serious team, a team that could potentially reach a World Cup final and win it. Certain things have to happen to make that a reality, namely that his two world-class half-backs, Conor Murray and Johnny Sexton stay fit, but other than that Irish rugby is in rude good health. For the first 30 minutes on Saturday Ireland played some of the best rugby I have ever seen. They pushed Argentina around at scrum time, were confident to run from anywhere on the park and built the phases with ease. In fact, it looked much like New Zealand rugby at its best, a team that felt confident enough to run the ball from their own 22. Rugby is still a simple game, despite pundits and coaches wanting to complicate it. The principle is that if you have the ball and the opposition can’t get their hands on it, then you can do whatever you want. In the second half Ireland could not get the ball back off Argentina and as a result spent nearly 40 minutes defending. Some players put their hands up to be selected come the start of the Six Nations, most notably Ulster winger Stockdale, who took his chances well. Elsewhere, veteran full-back Rob Kearney pulled out a blinder to repay the coach’s trust in him. Under some pressure from the likes of Andrew Conway and even uncapped Leinster star Jordan Lamour (a player that in my opinion will become a superstar of Irish rugby), Kearney showed that there is plenty left in the Irish full-back when he produced a wonderful performance on Saturday. Schmidt has plenty of options in the back row and the midfield after Chris Farrell produced the goods on Saturday, and with Garry Ringrose and Robbie Henshaw at his disposal, it’s some place to be in. Overall, a good three matches for Ireland – not perfect – and I suggest that is just where Schmidt wants them at this moment in time.